Want to borrow or return some equipment & books? 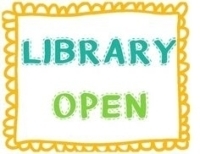 Our library is open from 4pm to 5pm on Tuesday February 19th. See our books here and equipment here.